Alison Chambers looks back at in business aviation 2017 and considers where it might go this year. "While the airline industry suffered with some big name casualties in 2017, business aviation had its best year since 2008 with an overall 4% increase in traffic. The UK ranked in the top three European performers. Leading with overall growth, and within the London extent, Biggin Hill, increased its movements by 16%, according to analysis from WINGX, the business aviation intelligence company, bolstered by its extended opening hours. Likewise, Oxford Airport saw an uptick in bigger jets using the airport, complemented by a near 20% increase in executive helicopter departures. Both privately owned airports are investing in new hangars and infrastructure. Southend Airport is expanding its activities. See BTN 22 January. Luton retained its position in the top three business aviation airports in Europe (behind Le Bourget and Geneva) with charter operators (versus private movements) up 17.2% year on year. Luton-based Harrods Aviation opened an FBO at nearby Cranfield Airport, partly for overflow traffic but also to provide a lower cost base for new business models provided by Single-Engine Turboprops (SETOps). This sector is one of the bright spots for business aviation – and potentially for the regional airline industry too, which needs some fresh impetus. Last autumn’s Single-Engine Turboprop Operations Conference, held at the Royal Aeronautical Society and organised by Emerald Media and Bluesky, highlighted the model’s ability to broaden the customer base in business aviation and be a relief to the beleaguered airline traveller, by becoming a catalyst for regular short-haul services in abandoned communities. This is already happening in the commuter airline sector. In December Ourways, founded by former Air Berlin executives Tim Haferl and Benjamin Götze, pioneered Quest Zodiak flights on island routes within the German North Sea/Wadden Sea region. They’re already planning new routes and have announced their intention to offer charter flights on a HondaJet under the Pathways brand. And more disruption continues. Austrian Tech start-up Jet Class is targeting regular airline passengers who weren’t aware they could ‘afford’ to fly on a business jet. It investigates where one-way business class flights regularly cost more than €1,000, then monitors fares using both artificial intelligence and human analysts. Once confident it can offer a competitive price, it will charter a jet and sell individual seats through GDS’, so its seats appear on websites like Opodo, Lastminute.com and TripAdvisor. We will hear more from them at Corporate Jet Investor’s London conference this week, plus much more about the future including a Brexit debate. Business aviation is continuing to integrate with the wider travel industry, including commercial airlines, to the benefit of both customers and industry. Etihad Airways has partnered with Victor, the on-demand private jet company to complement and promote its exclusive Residence and First Apartment cabins on its A380s. Qatar Airways owns 12 business jets including brand new Gulfstream G650s which it offers for charter worldwide; Emirates offers an ACJ319 in a 19-seat VVIP layout and both Delta and Lufthansa, the latter in partnership with NetJets, offer private jet charter options. 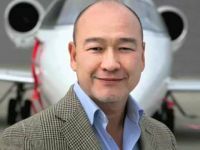 Arrangements between private jet companies and commercial carriers haven’t always worked in the past because they don’t really go beyond branding and marketing to really deliver and keep clients coming back,” notes Clive Jackson, CEO of Victor. But Etihad Airways’ focus on innovation and commitment to customer service is a perfect match for us. And now shuttle services, ‘shared jet’ services which operate much like premium airlines are joining the fray, effectively a bridge between an airline and private jet model. 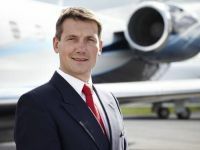 These types of service may not be attractive to many existing private jet customers who want greater flexibility, privacy and service levels, but they are certainly raising awareness at an entry level, says Adam Twidell, CEO of global private jet charter broker PrivateFly. They are also helping to boost the sector, as business aviation experienced its best year since the financial crisis in 2017. PrivateFly, which saw business grow 51% year on year last year, says that its charter customers are getting younger. According to its Jet Charter Trends report its average customer was aged 40 in 2017, versus 41 in 2016, and this dropped to 38 in the second half of the year. More millennials entering the workplace will be the next private jet audience, Adam Twidell suggests, and they will demand more choice, customisation and personalisation. Booking a private jet flight (on a GDS) will be as accessible as making a hotel or airline booking, with digitalisation key..
Surf Air, which started out in California six years ago as one of the first ‘airline membership’ subscription models expanded into Europe last summer. Starting with summer routes from Luton to Cannes and Ibiza, in December 2017 it switched to London City Airport and is now offering daily flights to Zurich with Embraer Phenom 300 light jets between Monday and Friday. In February, Surf Air will add regular flights to Sion and on-demand flights to Samadan for skiers. 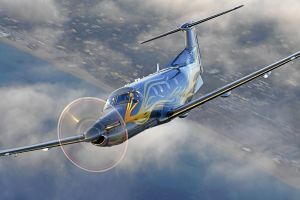 Summer 2018 could see Palma Mallorca join the network and, during the second quarter, Pilatus PC-12s (which it already operates in the US) will be added from its Zurich base. 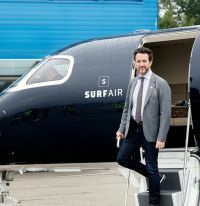 Surf Air’s CEO Simon Talling-Smith says the subscription model – based on a monthly fee – is doing well across all markets, be it private jets or razor blades. Surf Air’s model is built on the premise that time-conscious, frequent flyers flying through the big hub airports experience far too many irritations. “It’s the queue, the second queue, the third queue, taking the shoes off. Is this a laptop-friendly airport? Do I get my washbag out? If you are an international commuter doing that every Monday morning it will drive you mad,” Talling-Smith challenges. With Surf Air (which uses the AOC of FlairJet), members book individual seats and ‘share’ their bizjet flights with four or five other people. “We don’t ever want full capacity on the (eight-seater) aircraft, and we are probably the only airline to say that,” he says. In moving to Europe, Surf Air – and potentially Wheels Up, another prominent US membership airline, which plans to begin operations in Europe later this year – have identified a new category of air traveller who won’t have experienced business aviation before, and they believe potential growth could be anything from 10 to 100 times bigger than the current market. Surf Air’s COO, Peter Evans, former executive with SilverJet and one of the original employees of London City Airways, describes its offering as a ‘cotton-bud experience.’ It’s either end of the journey that the real benefit is achieved – i.e. with the time saved using private terminals. Evans says Surf Air even bases its FBO choices on whether passengers can walk straight to the aircraft, which is parked up right outside the lounge, as this is more convenient than being a drive away. 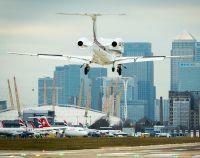 London City Airport, which saw its business aviation movements grow 6% last year – and which has just welcomed another bizav mobile membership model, Jet Smarter, to the network – also offers a private check-in service at The Executive Jet Centre. Currently just for British Airways customers who would prefer for the most part to remain private they check-in and undergo their immigration checks in the FBO, similar to the exclusive handling process VIP passengers enjoy at Luton, Gatwick and Heathrow airports. And then straight on to the aircraft. “It is not the case that we are expensive or a difficult airport to obtain slots at,” says Nick Rose, Director of Business Aviation at LCY. Instead, he explains, the airport’s management has made a strategic decision to go after business aviation passengers. This makes sense when you consider 65% of arrivals are going straight to Kensington, Mayfair and Chelsea. The British Business General Aviation (BBGA) will also be debating Brexit at its 2018 annual conference, which taked the theme ‘Tomorrow’s World Today. It returns to Luton Hoo on 8th March".